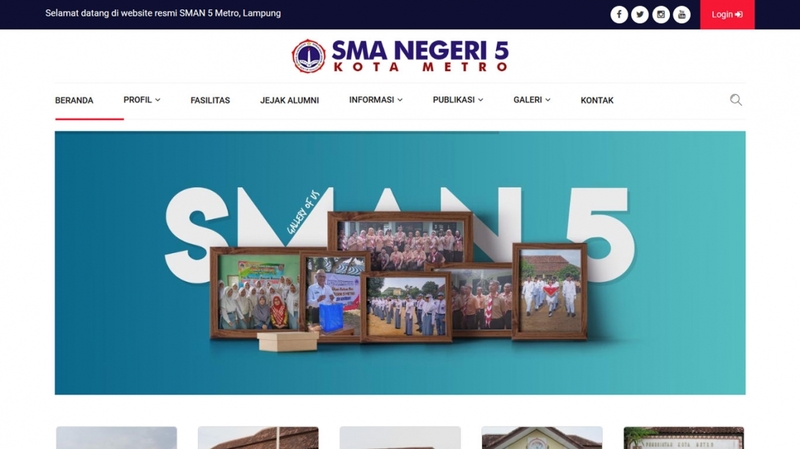 SMAN 5 Metro is one of many school in Lampung that has been accredited A. To support students activities, SMAN 5 Metro has additional facilities such as libraries and 4 laboratories, that is physics laboratories, biological laboratories, chemical laboratories, and computer laboratories. Students of SMAN 5 Metro can also develop their softskills through the organizations under the schools such as PMR, Rohis, KIR, Paskibra, and many others. With all these facilities, students of SMAN 5 Metro will not only excel in academics, but also carve out achievements in non academic fields. 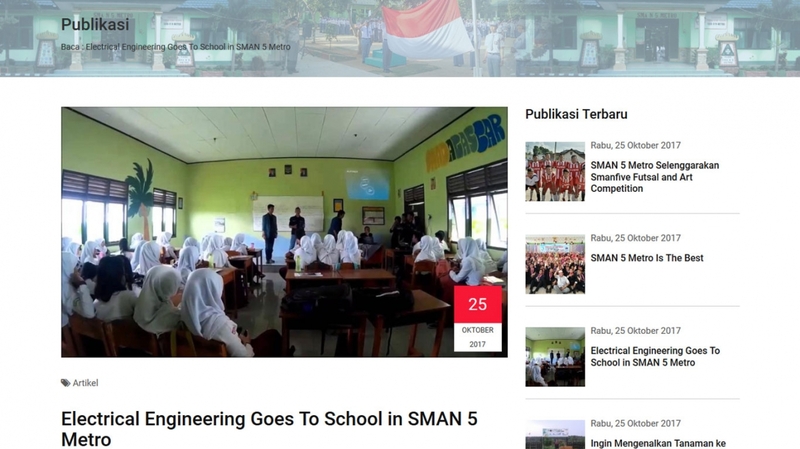 Through the official website SMAN 5 Metro that built by GiNK Technology, the public can access information related to all publications conducted by the school. 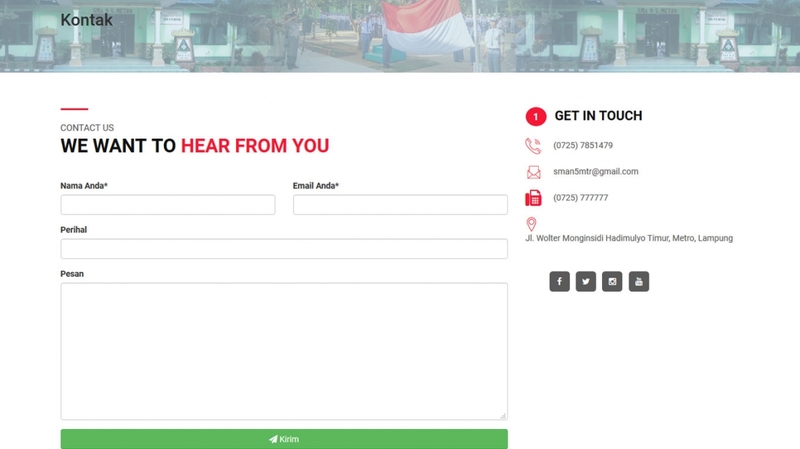 This makes it easier for the public to access any important announcements that submitted by the school. 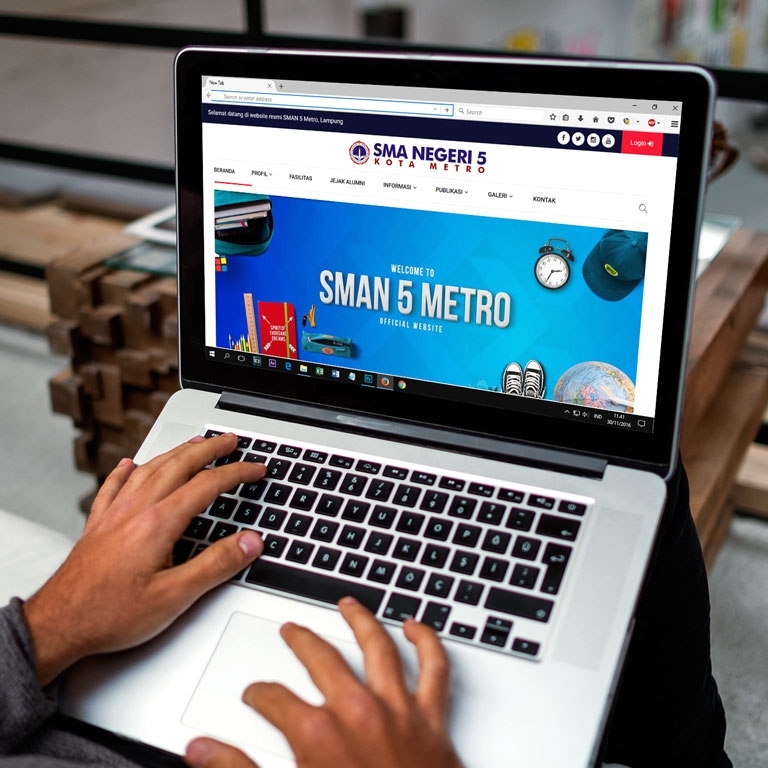 Parents of students can monitor the activities of students through this website by viewing activity information in the form of activity description including photo and video publication of every activity held in SMAN 5 Metro. for people who want to register their children to SMAN 5 Metro, they can see the school profile and teachers. For further consideration on this website they can see traces of alumni and all the facilities provided by the school.